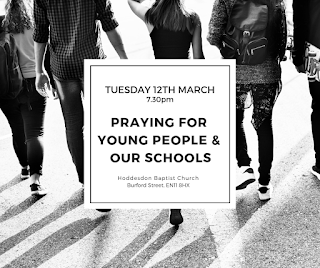 Join us for an evening praying for our young people, local schools and Young Life. 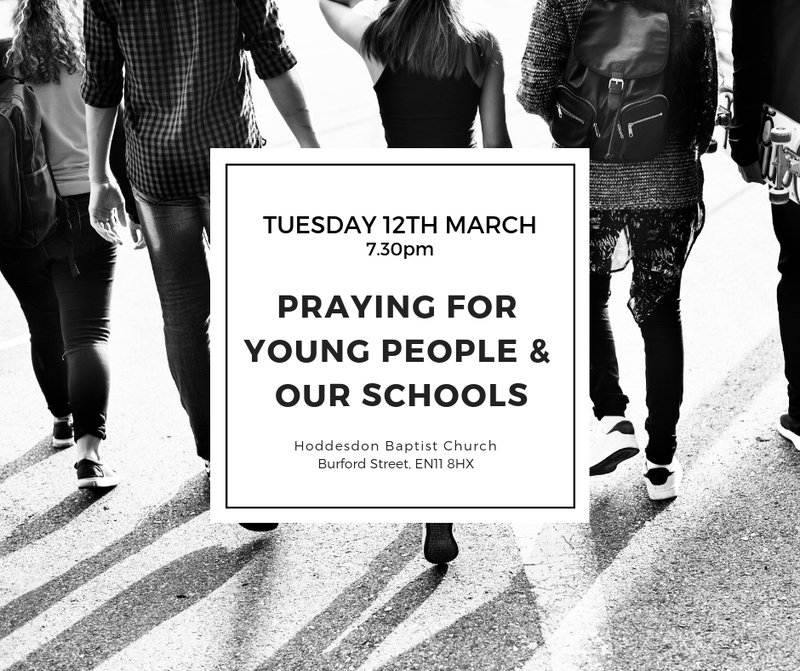 Thanks to Hoddesdon Baptist Church for agreeing to host us. 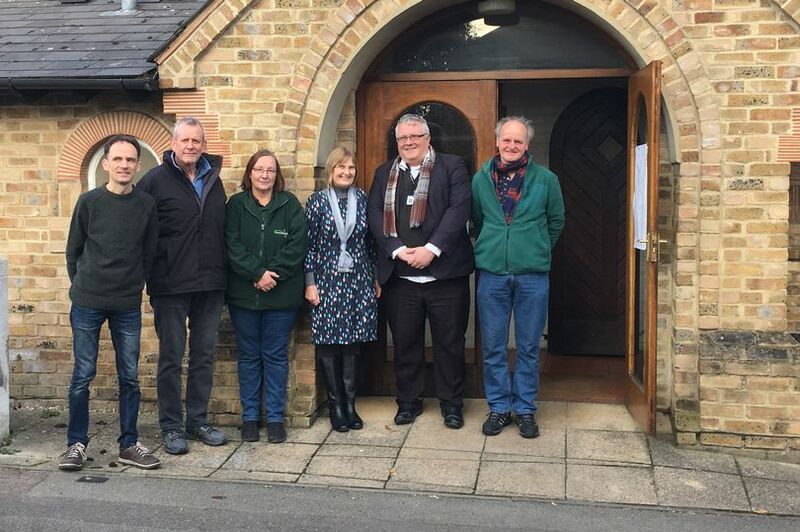 The Hertfordshire Mercury features an article this week about the launch of our Winter Night Shelter, which can be read here. To find out more about the WNS, visit our webpage. 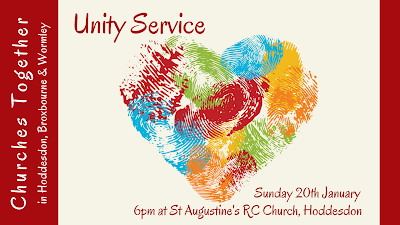 Thanks to Father Philip and our friends at St. Augustine's, Hoddesdon, for hosting our wonderful Service for Christian Unity on Sunday evening. Standing together, our local clergy from across our traditions. The Broxbourne Winter Night Shelter has started and is running until 3rd March. Praise God that the night shelter has started well. For the first week, there were two guests, both very grateful for a warm bed for at night. Three guests at the beginning of the second week, with more potentially coming soon. The volunteers have worked well together, and there has been a good atmosphere at each venue. Please pray for each new guest as they arrive, that they will feel welcomed and valued. Pray also for the volunteers, that they will enjoy the experience and for the venue coordinators, that they will have the stamina they need for the full 8 weeks. Winter Night Shelter - Starts Next Week! Our Winter Night Shelter starts next week! For more information see the WNS webpage. The Winter Night Shelter will be starting on Monday 7th January and running for 8 weeks. * For the final preparations, that all will go smoothly. * For effective communication between those in need and those at the council so that guests for the night shelter are appropriately matched up to the venues. 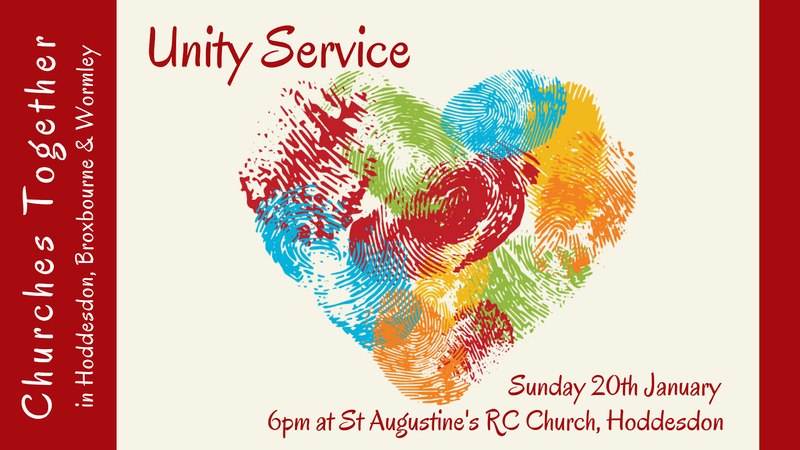 * For an atmosphere of peace, love, warmth and encouragement at each venue.